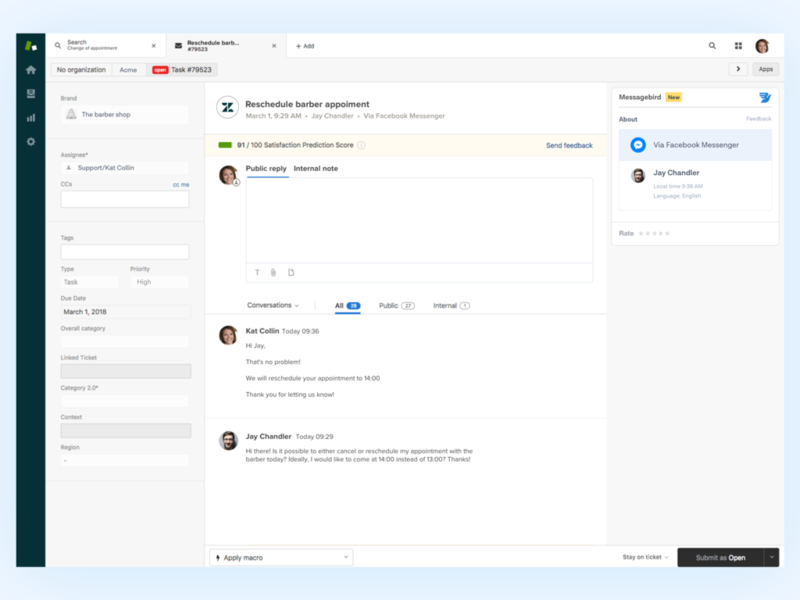 Combine the power of Zendesk with MessageBird to streamline, automate and analyse your customer support. 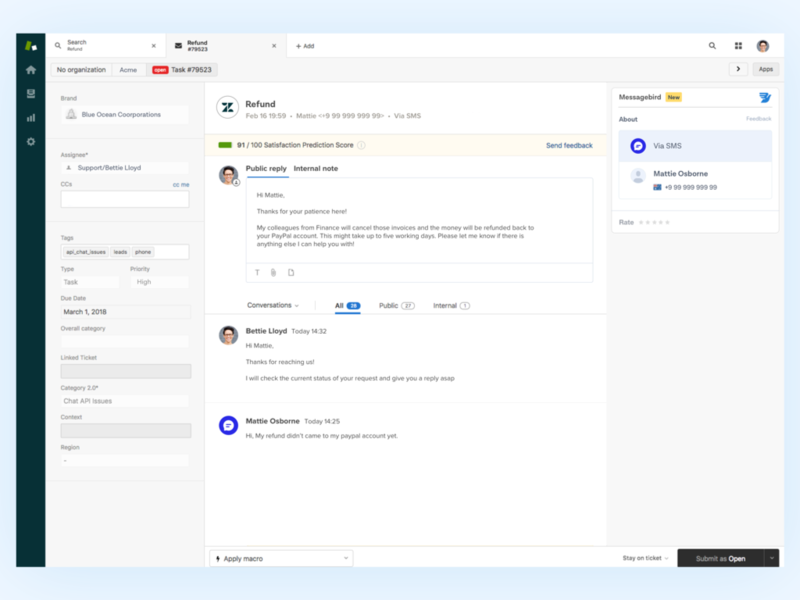 This integration enables customers to contact you on all of their favourite platforms while your agents can reply from just the one service - Zendesk. Installation of your MessageBird app is simple. 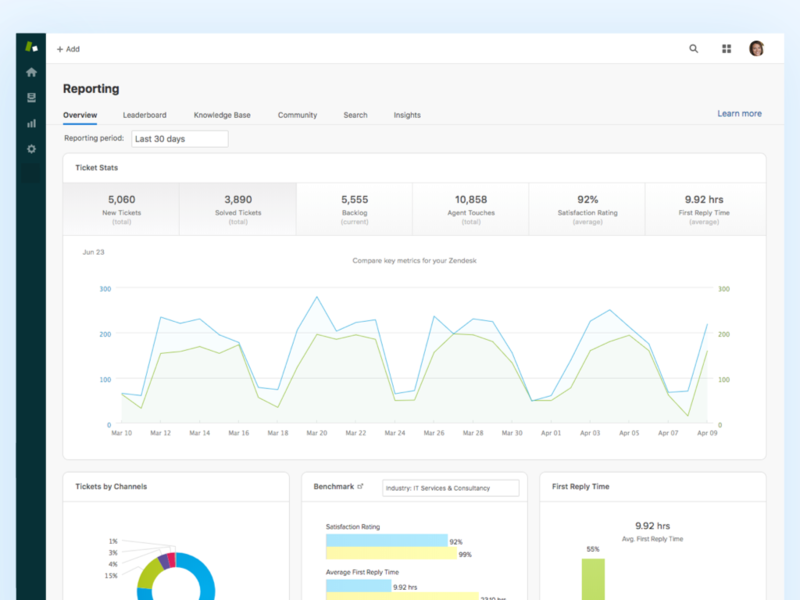 You will first need to install MessageBird into your Zendesk account. You'll then need to go to your MessageBird dashboard to configure your settings. Follow the instructions below and your MessageBird app will be running in no time! The MessageBird app will appear in your App menu on the righthand side of your ticket view. At this point the app will be empty - this is expected! *Click on the ‘Connect your MessageBird account’ in the app. You will then be taken to your MessageBird dashboard. *Follow the simple instructions on the configuration page to complete your installation process.